Two years after he started selling Chinese antiques from his living room in 1967, Isadore Chait opened his first gallery of Asian Art. Today, I.M. Chait Gallery/Auctioneers has expanded into their 20,000 square foot facility and auction room, conducting 20+ auctions a year and is consistently referred to as the premier boutique auction house of Beverly Hills. His auctions of 500+ lots each have a remarkable sell-through rate average of 80-90%, with prices ranging from $100 to $1,000,000. While specializing in Asian Art and antiques I.M. Chait has expanded into jewelry, watches, fine art and even one of a kind fossils! Chait believes in demonstrating through the auctions that collectors do not need to pay extravagant prices for genuine art. As a result of his stellar widespread reputation, his expert advice is frequently sought by the most sophisticated art lovers, decorators, novice collectors and fellow experts alike. According to Architectural Digest "Isadore Chait, specialist in Oriental sculpture and expert in gemology, has developed a worldwide reputation among museums and collectors, and is frequently consulted by both groups for authentication, market value and appraisals." He is a recommended appraiser for many museums, universities and government agencies, including the J. Paul Getty Museum, Pacific Asia Museum, Norton Simon Museum, Los Angeles County Museum of Art, University of California at Los Angeles, University of Southern California, Claremont University Center and the Consulate General of The Peoples Republic of China. He has served on panels of the Appraisers Association of America, as President of their Southern California regional office, and sits on the board of the Los Angeles Gem Council as well as numerous other professional associations. A member of many of the international appraisers' associations, Mr. Chait has been called on to write the tests qualifying other appraisers in his field. 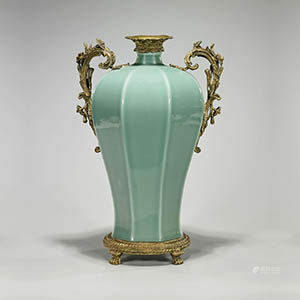 Mr. Chait's expert advice on subjects ranging from Chinese porcelain, price fluctuations and appraisals is frequently published in many trade publications including a regularly featured column for The Journal of Antiques and Collectibles. Chait and his unique offerings sold at auction have appeared on most major cable and network news outlets including CNN, MSNC, CBS, NBC, ABC and Fox. Mr. Chait has also been featured in many prominent newspapers and magazines including, the New York Times, Wall Street Journal, USA Today, Los Angeles Times and Forbes. Mr. Chait is also an accomplished Jazz singer and plays regular gigs with his quartet in his spare time and is completing his manuscript for a comprehensive guide to collecting Asian Art to be released next year.